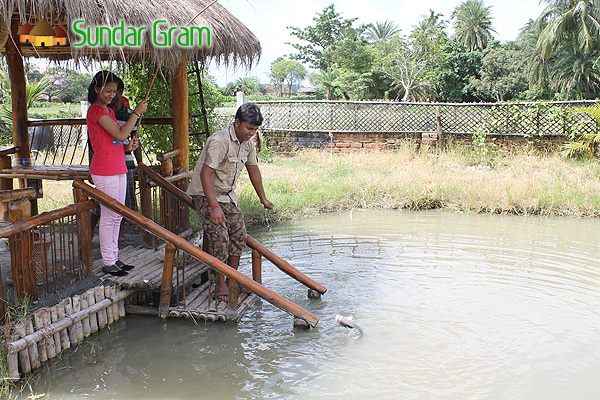 Sundergram is promoted as a part of Village Tourism . Just 35 km drive from Kolkata the place is a true weekend destination. 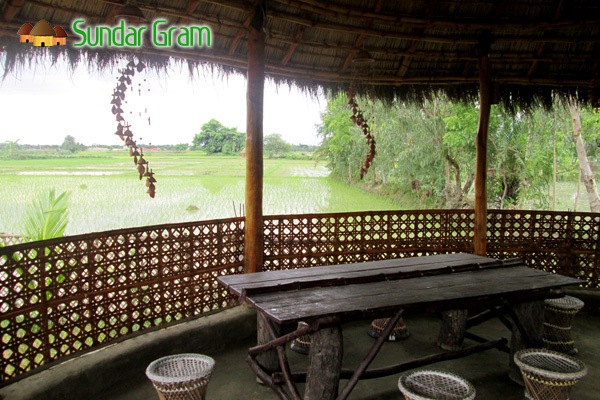 Inside the Resort you can experience paddy fields swaying in the winds, farmers tilling their lands, fishermen pulling up their nets. There is no swimming pool in the Resort but a beautiful pond where you can swim with the family members. 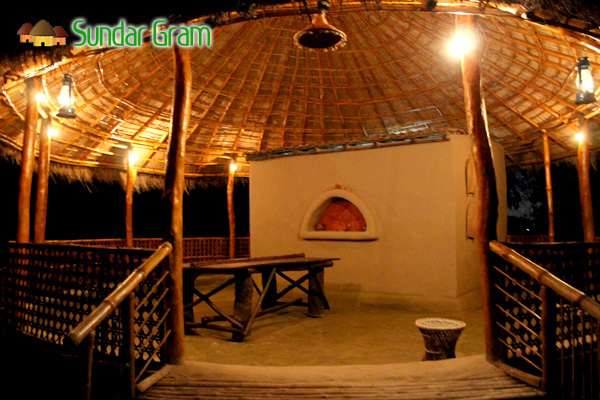 In the evening villagers perform different cultural activities for the guests. Guided village tour is highly popular among the weekenders. Boat ride in the river Vidyadhari, angling are among other activities. 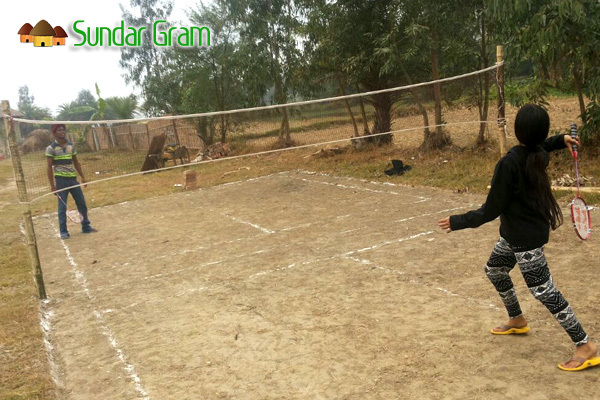 The Resort also has a badminton court and arrangements for barbeque. The resort is highly appreciated by the guests for its cuisine. Bengali delicacies like luchi, cholar dal, aloor dam, polao, mangsho, maach are served here.